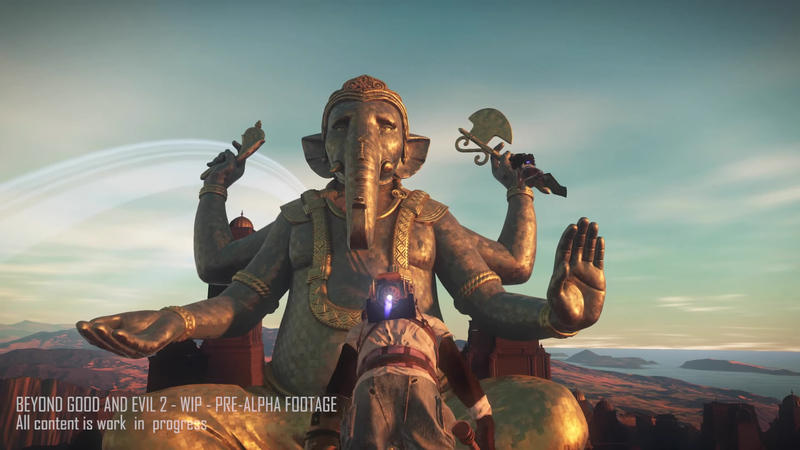 Slowly but surely, Beyond Good and Evil 2 is coming into focus. Ahead of what will hopefully be a much more detail-filled look at the game next month during E3, Ubisoft has shared some pre-alpha footage. Today's video focuses on just a couple of game mechanics. As a space pirate roaming System 3, "the center of interstellar trade and colonization in the Milky Way of the 24th century," you'll be able to pilot your own ship, leap out, fly around with a jetpack, and get into some brawls. 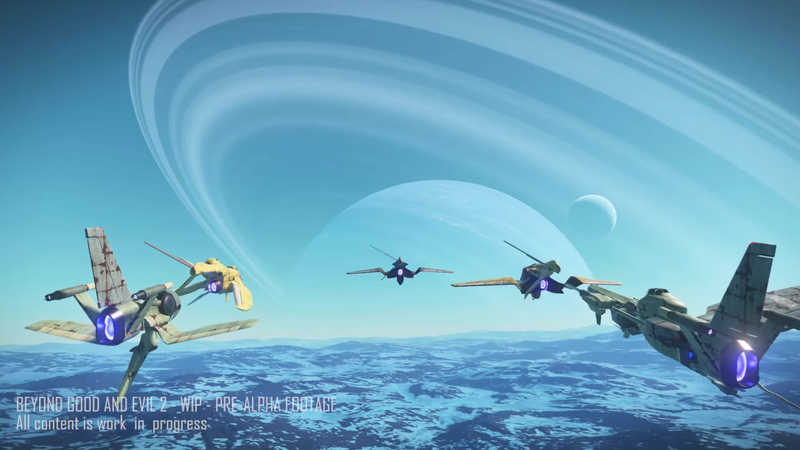 The footage is super early, but I can tell the ship locomotion and player movement will be fun. I also love how seamless it all looks. So long as Ubisoft can create a rich setting with interesting characters, quests, and combat scenarios, I can see myself having a ball with Beyond Good and Evil 2. This isn't shaping up to be the sequel I pictured all those years ago after the first CG teaser, but I'm open to this direction. For a more in-depth look at the game, check out the archive of today's livestream.